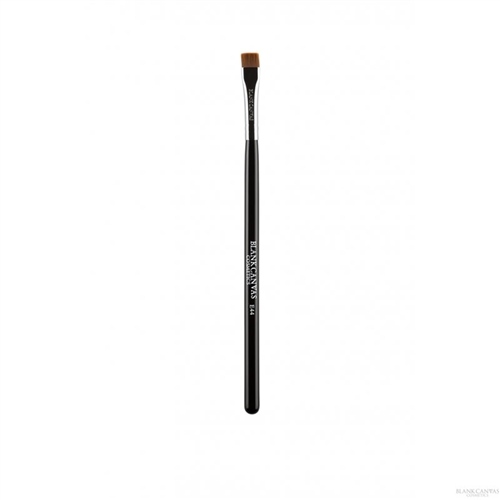 The E44 is a multi-purpose eye brush from our Pro Deluxe Series. Handmade from extra soft, high quality anti-bacterial, easy to clean synthetic fibres, this brush is also vegan friendly. The E44's small straight edged fibres make it the perfect tool for detail work to the eyes and brows. Use this brush to apply product to create fuller or more texturised brows, to create precise cut creases or definition in your smokey eye. This brush can be used with cream, gel, liquid or powder products.